Want a deeper understanding of iPEC’s Energy Leadership™ and Core Energy Coaching™ principles, before diving into the full coach training program? 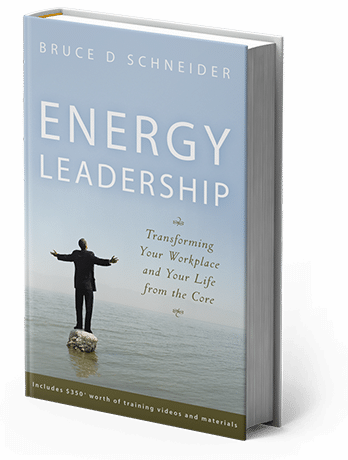 Grab a copy of Energy Leadership: Transforming Your Workplace and Your Life from the Core, written by renowned coach Bruce D Schneider, Founder of the Institute for Professional Excellence in Coaching. In Energy Leadership, Bruce teaches how to understand the most important personal resource of all—energy— and shows how to harness it to achieve success in the workplace, the home, and in the world at large. This engaging and fast-paced story clearly explains how managers and leaders from all walks of life can use the principles of Energy Leadership to inspire themselves and others to achieve extraordinary results in whatever they do. The author provides insight into a cutting-edge coaching process he has developed, which has positively impacted the lives of tens of thousands of people in both the corporate and private sectors. Distinguish truly effective leaders from those who deplete the energy of the people around them and specific techniques to shift energy levels to inspire peak performance. Become a powerful leader who motivates yourself and others to reach their true potential. Develop the ability to shift internal energy to meet any leadership challenge and use this newfound power to inspire respect, confidence, and loyalty in others. If you always try to inspire others but sometimes feel like something is missing, something is. Energy Leadership puts you in touch with the missing link between your ambitions and your ability to achieve them. Unleash your potential right away and explore the concepts you’ll master when you attend iPEC, the most comprehensive coach training program anywhere. "Brilliant! A roller-coaster incisive book for anyone who wants to lift themselves from mediocrity to excellence. Schneider has created a road map to improve your bottom line and a guide for your soul. I recommend Energy Leadership for every CEO, employee, and entrepreneur, in America and the world."